Here at European Springs, we like to bring you the latest news from the engineering industry, including stories from the exciting field of robotics. Interestingly, this week has seen a rather important new development in the robotics industry, which is also the latest project to utilise the revolutionary principles of biomimetics: biologically inspired engineering. 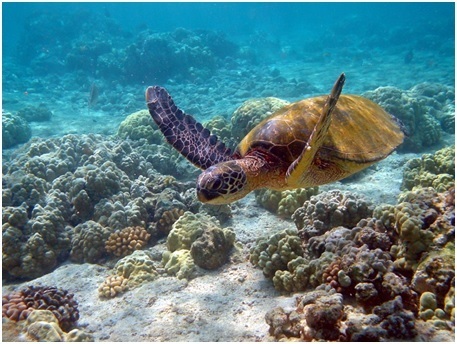 According to the Engineering and Technology magazine, researchers in Singapore have developed a new and rather remarkable sea robot that is both self-charging and also capable of mimicking the natural movement of a turtle. This biomimetic turtle, which was designed by a team from the National University of Singapore, is representative of a major step forward in the development of robotic creatures with a brain of their own. There are a number of benefits such technology could bring. For example, such robots could be used to perform a variety of missions including detecting nuclear waste underwater, exploring the ocean&apos;s depths, water quality monitoring, and even surveillance. One of the most remarkable things about this new turtle robot is its ability to determinedly perform what it sets out to do. For example the robot is able to react to obstacles and exigencies in its environment, and can turn sharp corners with a small radius without any loss of speed. The design of the robot is particularly innovative given that it is specifically designed to mimic the natural movement of a turtle, thus giving it fantastic manoeuvrability and allowing it to reach places other robotic devices simply could not. This robot is another example of how biomimetics is revolutionising the engineering field and leading to a number of important advances. It is one of a number of biomimetic robots that have been created in the past few years; other examples include the so-called GhostSwimmer developed by the US Navy, which was created using biomimetic principles and is designed to emulate the appearance and movement of a shark. Researchers from the MIT Biomimetics robotic lab also recently unveiled a new robot that used the cheetah as its source of inspiration, which is capable of running in the same way as its real life counterpart. Here at European Springs we are leading spring suppliers and many of our products are utilised in the engineering field for a variety of applications, including robotics. As such, we are proud to be a part of this dynamic and innovative industry. For more information about our range of products and services please do not hesitate to contact us today by giving us a call on +44 (0) 208 663 1800.